This wrapping paper by the fine folks of UnderConsideration made me look. It acknowledges delicate gift-receiving moments with a double-sided print that, on the outside, represents the hope (#WhatIWishIGot) and, on the inside, the reality (#WhatIGot). Regardless if the two match or differ… the moment of unwrapping is always a treat. 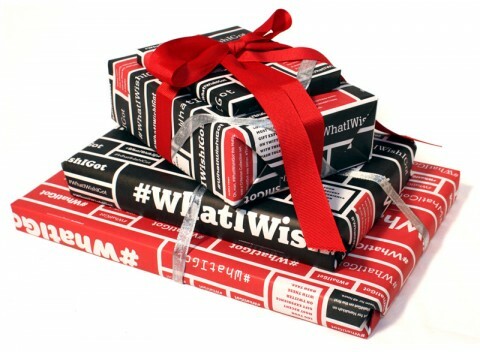 Giver or receiver, log your experience on Twitter with these hash tags together: #WhatIWishIGot and #WhatIGot.